The four Girls of Spindrift e-novellas together form a prequel for Bittersweet Dreams—available now! V.C. Andrews®, the legendary New York Times bestselling author of Flowers in the Attic and My Sweet Audrina, delights readers Book One of theGirls of Spindrift, CORLISS (Pocket Star EBook; June 12, 2017; $1.99). Here begins a haunting new series featuring highly intelligent teenage girls who struggle to survive a specialized high school and find their place in a world that doesn’t understand them. Such is the burden of being brilliant. 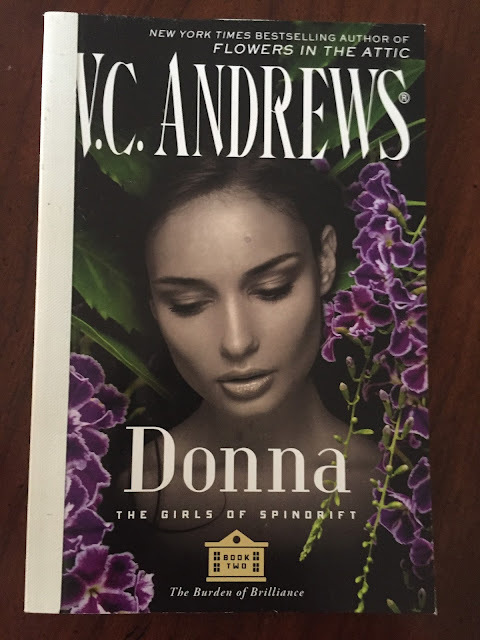 The second book in The Girls of Spindrift series is DONNA (Pocket Star EBook; August 14, 2017; $1.99). Being gifted is not something Donna ever wanted. It’s difficult enough to have a Latino father and Irish mother, and her genius only separates her even more from the other girls. They don’t say it, but they blame her for everything that goes wrong, just because she’s different. These two novellas are perfect. Just enough to give you a taste so you are ready for Bittersweet Dreams that brings together the girls of Spindrift. Corliss is a smart girl. She is smarter than anyone else and it causes her grief. There were great parts of the book like her she deals with the people in her life and the bullying that follows her. I loved her revenge plot and how it really didn't hurt anyone. I didn't like how at times things felt rushed (it is only 80 pages) and for a smart girl I felt she didn't protect herself which left her vulnerable to pathetic bulllies! Donna is also a "gifted girl" and is kept apart from the other students at her school taking class in a completely separate area from the rest. She finally finds some normalcy when she is asked out by Greg. Unfortunately for them, their first date ends up in a hospital stay and a permanent disability for Greg. Donna is also given the opportunity to attend Spindrift where she meets Coraliss. LOVED this. I am excited to see what is really going on at Spindrift. I feel that there is some set up and these very "gifted" young woman will be used for evil. I am excited to read Bittersweet Dreams and hope to start it this weekend. One lucky reader will win a copy of V.C. Andrew's Bittersweet Dreams. V.C. 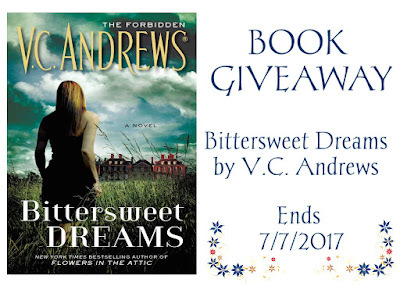 Andrews® has been a bestselling phenomenon since the publication of her classic Flowers in the Attic. That blockbuster novel began her renowned Dollanganger family saga, which includes Petals on the Wind, If There Be Thorns, Seeds of Yesterday, and Garden of Shadows. Since then, readers have been captivated by more than seventy novels in V.C. Andrews’s bestselling series. V.C. 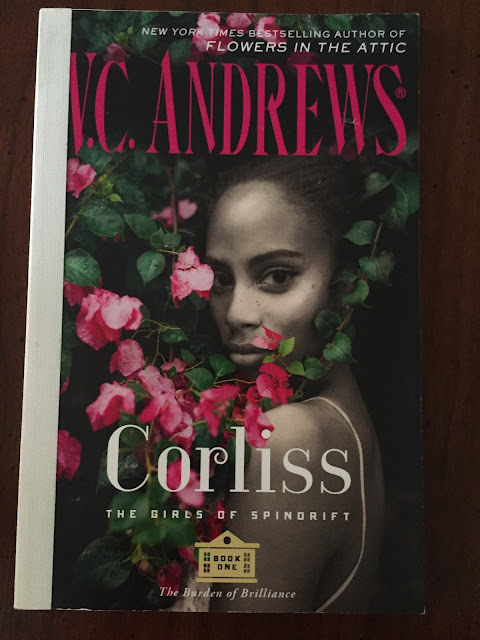 Andrews’s novels have sold more than 106 million copies. Disclaimer: No monetary compensation was offered or received. I did receive books for my honest opinion. All opinions are my own.